With the colourful season of autumn coming to an end, it’s time to get your garden winter ready and give it a good clean. Nobody wants to deal with rusty equipment and weed filled paths once winter is over, so get prepared beforehand and save yourself the hassle in spring. Patios can be a pain to clean, but it is best to remove any moss and weeds that are growing between the cracks or covering the slabs before winter hits. You may have to pull out the weeds the old-fashioned way, but Jeyes 4 in 1 Patio Power can make cleaning the slabs much easier. All you have to do is mix, apply and leave it to dry, no scrubbing needed. It is also power washer compatible if you want to blast through the dirt! It might seem strange to be putting in new plants as winter is beginning to take over, but it is actually a great time to plant deciduous trees and shrubs, such as roses. The plants are dormant during winter and so it is much less stressful on the shrub to be planted during this time, meaning they are more likely to survive. While their roots are establishing they need some extra care, but once they’re established, they’ll take care of themselves! Give your shed some love and include it in your autumn clean. Remove everything from inside and sweep the floors of any dust and debris. Then clean the walls with a damp cloth to remove any moss or dirt that has got attached to them. Finally, clean the windows inside and out with a cloth and window cleaner. After all, your shed is an important feature of your garden too. By now, you’ve probably picked the best of your vegetables and the rest are coming to the end of their life, so start getting your veggie patch ready for next year. Dig up any old plants that could be diseased and harbouring pests and fungi that will negatively affect future vegetables. If the plant looks healthy, put it in your compost, otherwise dispose of it with household waste. Add a layer of compost and a thin layer of mulch across the patch to suppress weeds and protect the soil. This way, your soil will be ready for more delicious vegetables next spring. Similarly to your shed, remove any plants that are still inside so that you can give your greenhouse a thorough clean. Use a garden disinfectant to clean the paths and glass inside. Jeyes Fluid Multi-Purpose Disinfectant is perfect for this job. It kills 99.9% of germs and is quick and easy to use, with its trigger spray and it being pre-mixed. Once you’ve finished disinfecting, keep the greenhouse ventilated for a day or so to make sure it is all dry. Cleaning gardening equipment is a vital part of the autumn clean process. Remove all rust from your tools to stop it from getting worse over the winter and clean off any dirt that may be stuck to remove bacteria that may be on them. Using a thick cloth to do this is best, as it will lessen the risk of the cloth splitting and you getting injured. Now, this may not be everybody’s favourite garden cleaning task, but it’s definitely an important one that needs to be done. Unblocking your drain now before the winter properly kicks in is a great way to get ahead of the game and may even save you having to do it in the snow! 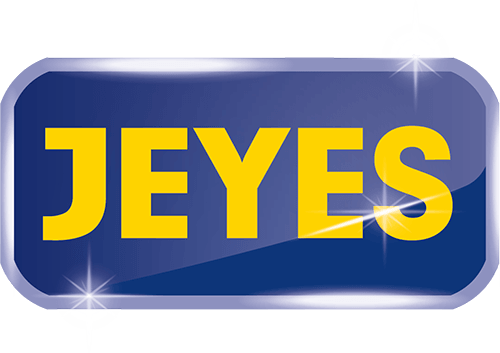 Jeyes Drain Unblocker makes unblocking your drain as easy as it can be by simply pouring the solution into the drain and leaving for 30 minutes. Its powerful, thick and clinging formula helps to eliminate even the toughest blockages. Cleaning your plant pots is always a good thing to do as you’ll be able to reuse them without running the risk of the pots harbouring a variety of pests and diseases that could harm new plants. Using an outdoor disinfectant is a great way to ensure that your flower pots are in their best condition ready for the spring and the new plants you’ll be wanting to plant!